Here at Dragoman, we design our overland journeys to take travellers off the well-worn tourist trails and into the heart of the countries and cultures we’re visiting. And as part of our commitment to taking the road less travelled, we’re always looking for new trails to blaze and new experiences to offer our passengers. When one of our tours contains a brand new itinerary, we call this an Exploratory Trip – and if you join us on one of these trips, you’ll be helping to pioneer a new route for Dragoman. 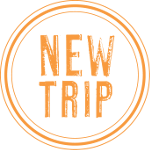 Look out for this Exploratory Trip logo at the top of the trip page. While we’ve thoroughly researched these new trips and compiled the itinerary with the best of intentions, it’s important to note that this is the first time our tour leaders have driven the route and they’ll be figuring out a lot of things on the ground. For that reason our Exploratory Trips can often be more dynamic than our established trips; drive times may differ from those listed and the schedule may be altered in places as we work together to iron out any creases in the itinerary. This is what overlanding with Dragoman is all about. Travelling in one of our custom-made overland trucks gives us the freedom to get off the beaten track, to go beyond the tourist infrastructure, and to alter our schedule according to local circumstances. Our Exploratory Trips are perfect for pioneering travellers, and are truly at the heart of our mantra of “It’s the journey, not just the destination”. Take a look at some of our Exploratory Trips below. Join us for our new Mozambique loop. Swim with whale sharks in Tofo, safari in Kruger and Limpopo National Parks, and explore the Bazaruto Archipelago. This is also the only Dragoman trip that visits the tiny country of Swaziland, where you’ll spend a night in a local village learning about the country’s culture. Follow a new route around East Africa on this ultimate overland expedition. Over the course of 38 days, go on safari in the National Parks and Nature Reserves and visit towns and villages along the way. Discover an unexplored route down Western Africa, wild camping in local villages en route, on an 85-day overlanding journey from Accra, Ghana to Cape Town, South Africa. Marco Polo was one of the most famous Westerners to travel the Silk Road in the Middle Ages. During his 24-year journey, he travelled further than any of his predecessors, reaching Mongolia and China and becoming a confidant of Kublai Khan. Recreate this great trip, with visits to the city of Yerevan, Borjomi National Park, and the Armenian Highlands. Retrace the great Mongol warrior Genghis Khan’s footsteps on an overland journey from Tbilisi, Georgia to Ulaanbaatar, Mongolia. Follow a new route along the Silk Road, with stops in the Khongor Sand Dunes, the Tsenhker Caves, and Altai Tavn National Park.